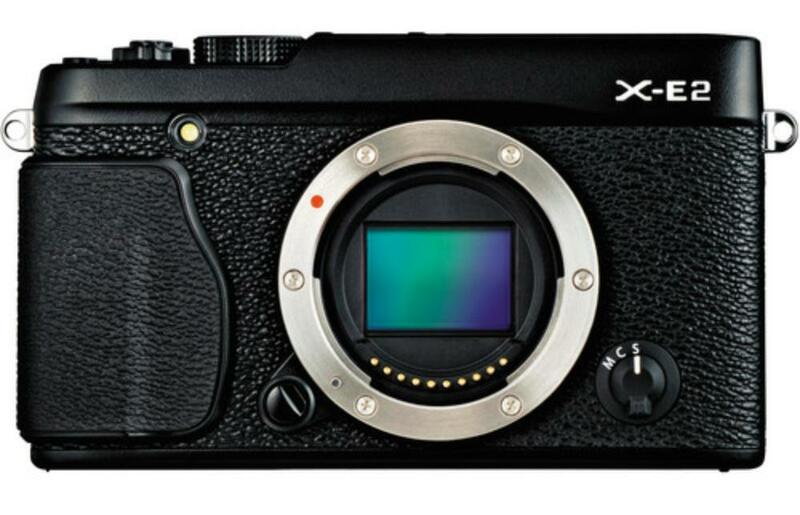 The Fuji X-E2 Mirrorless Digital Camera features a unique X-Trans sensor that eliminates a low pass filter for optimal sharpness while still reducing moire, false colors, and other unwanted artifacts from your images. The X-E2 produces images that simulate the tone and color qualities of great Fuji films, including Velvia, Provia, and Astia, inside a retro-chic body without sacrificing manual control or the ability to shoot RAW. 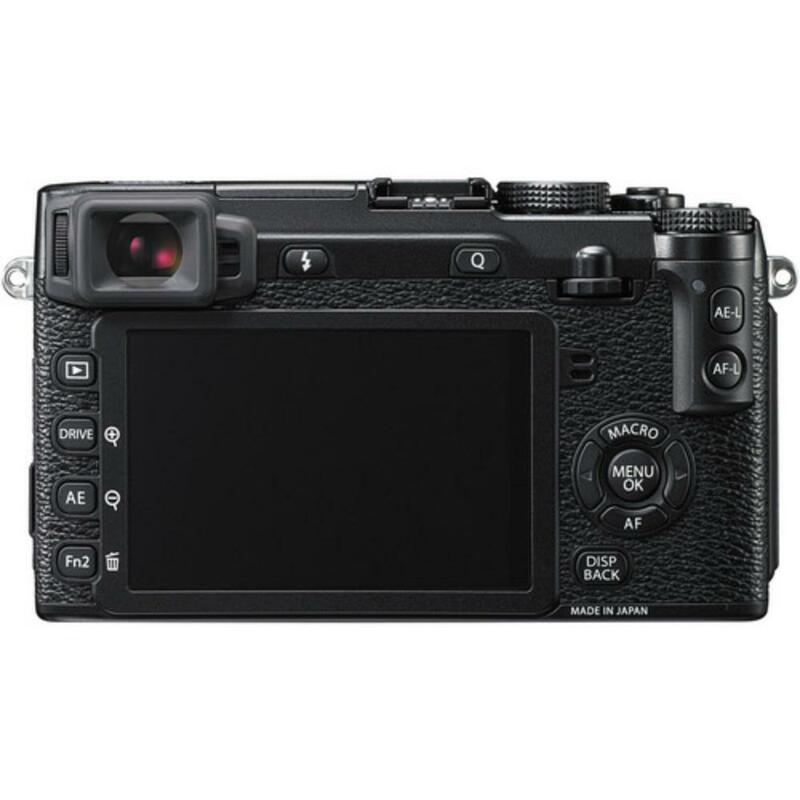 The electronic viewfinder supports eye-level composition with a built-in diopter and a very soft eyepiece suitable for even those who wear glasses. The viewfinder has a special sensor which detects your eye and allows a 25º field of view automatically of the scene you just shot. Remove your eye from the sensor and you can see your just-taken image on the 3" LCD. When shooting video with this camera, you can connect an external mic for optimal stereo sound quality. 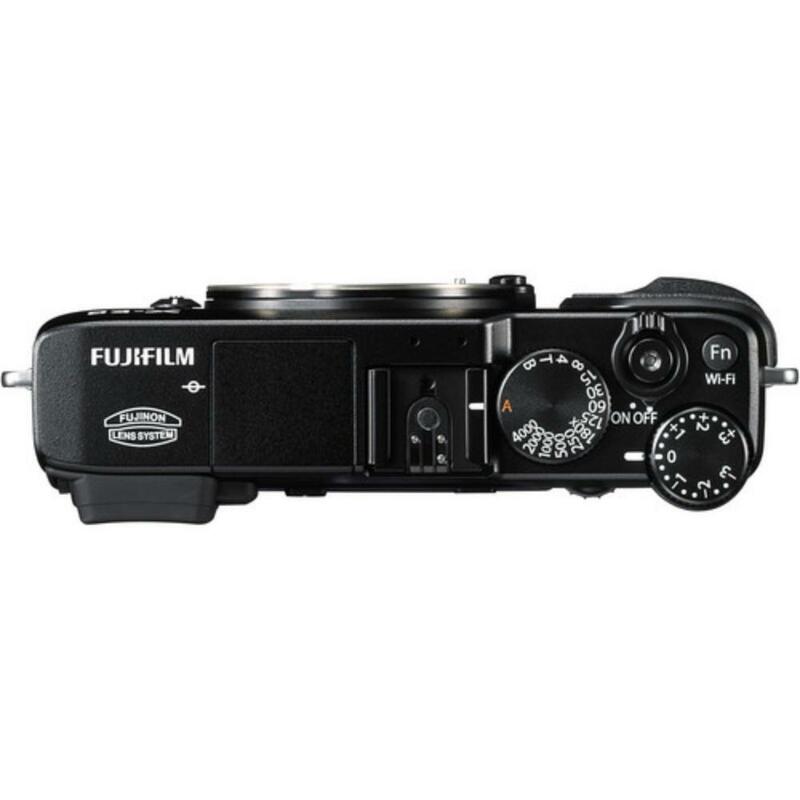 Wireless connectivity is integrated in the camera and remote transferring or control of the camera can be done using the Fujifilm Camera App. 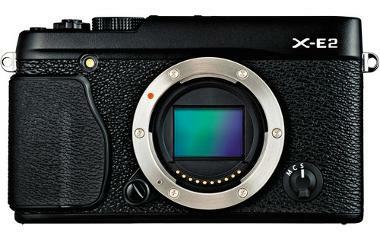 The Fuji X-E2 is ideal for vacation, travel, crowded events, and everyday shooting. We will make every attempt to have a fully charged battery for you, but we can't guarantee it 100%. If you need a fully charged camera body, please request it via order notes.